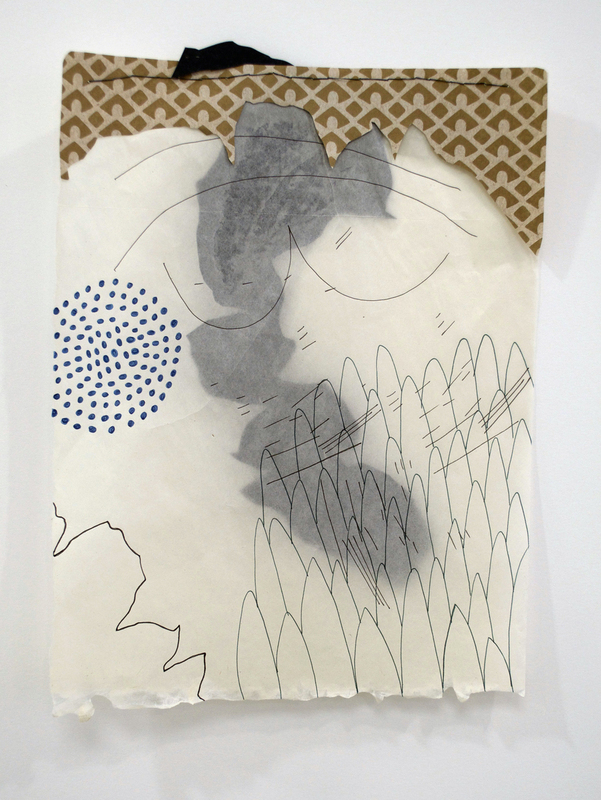 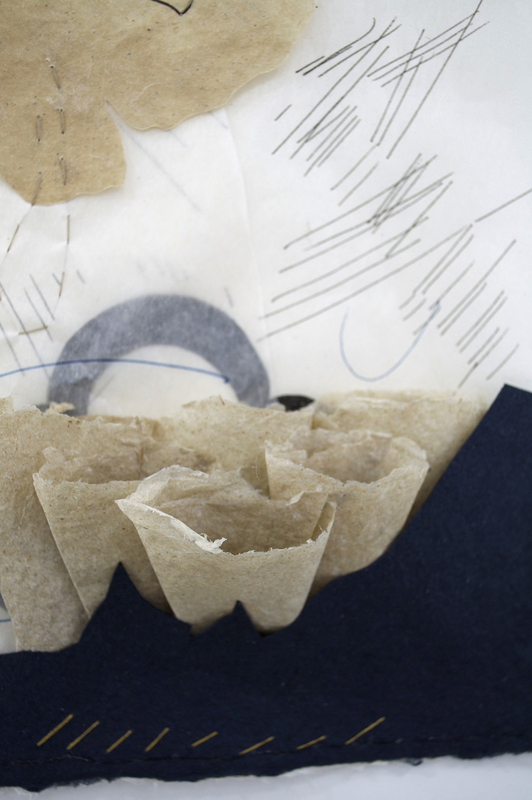 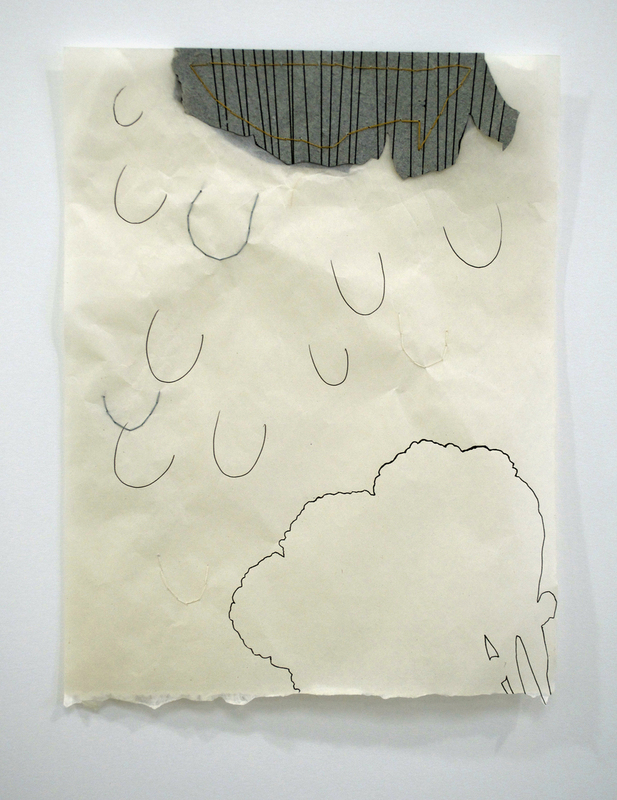 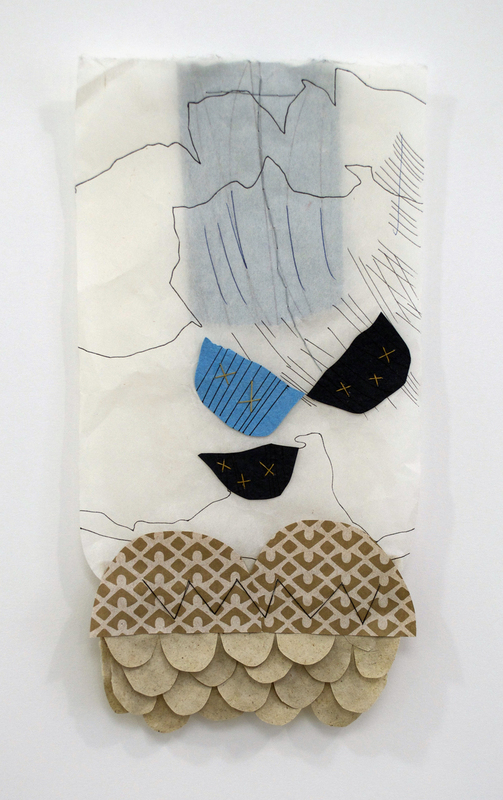 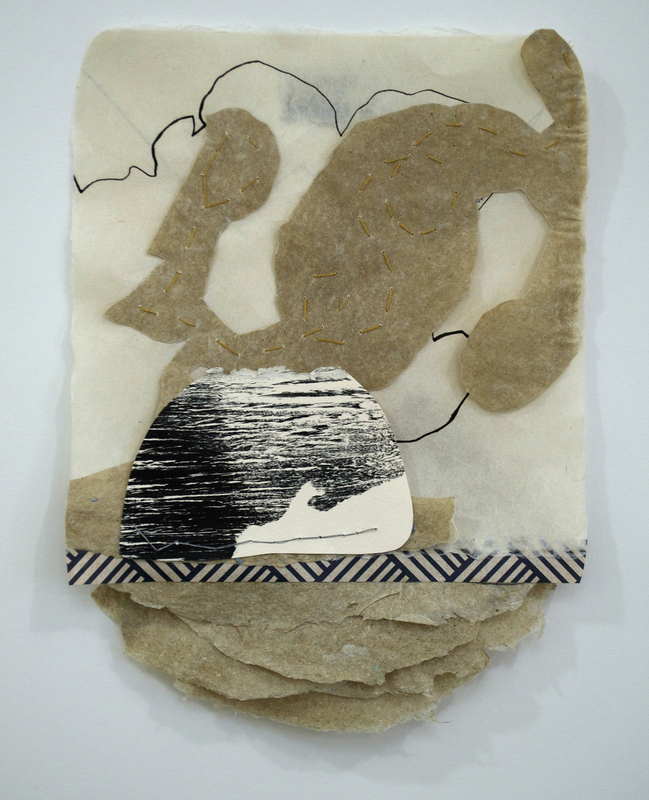 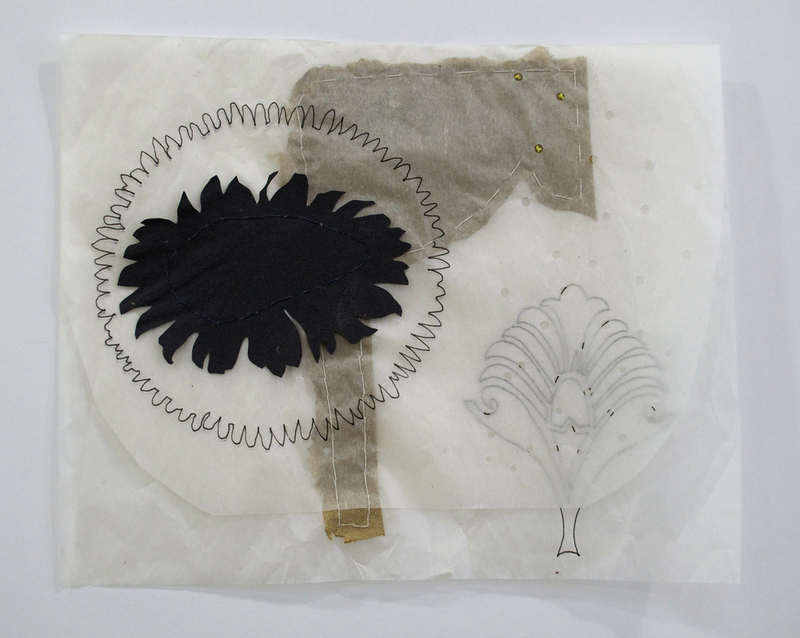 This body of work entitled Amherst Drawings is a series of works on paper that utilizes layers of translucent Japanese washi and more opaque paper handmade from indigenous and invasive plant species fibers. 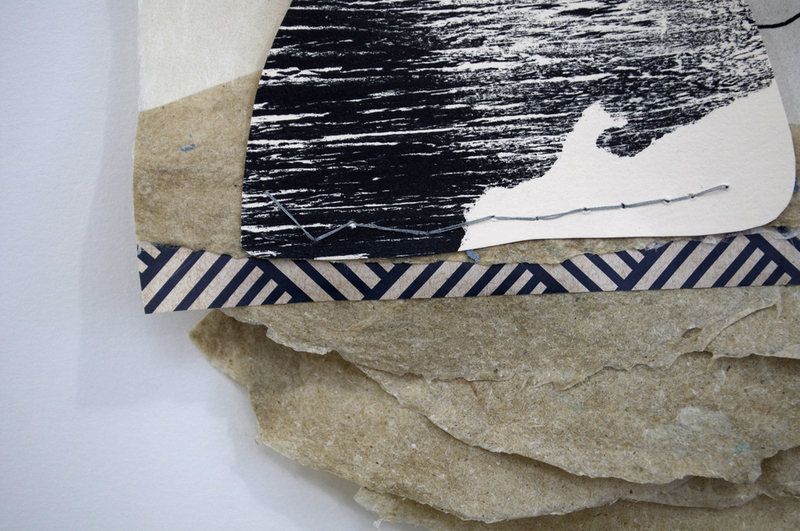 The works are small in scale and move out from the wall in relief with small paper three dimensional structures. 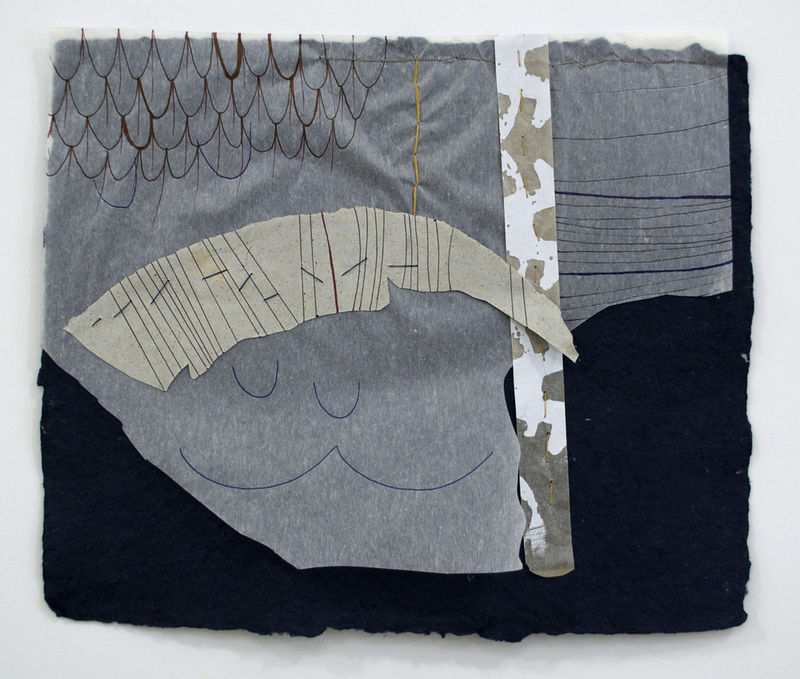 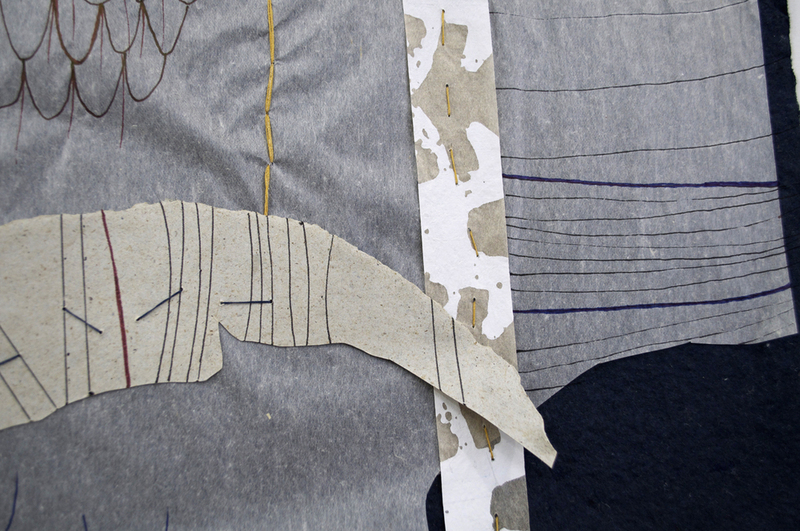 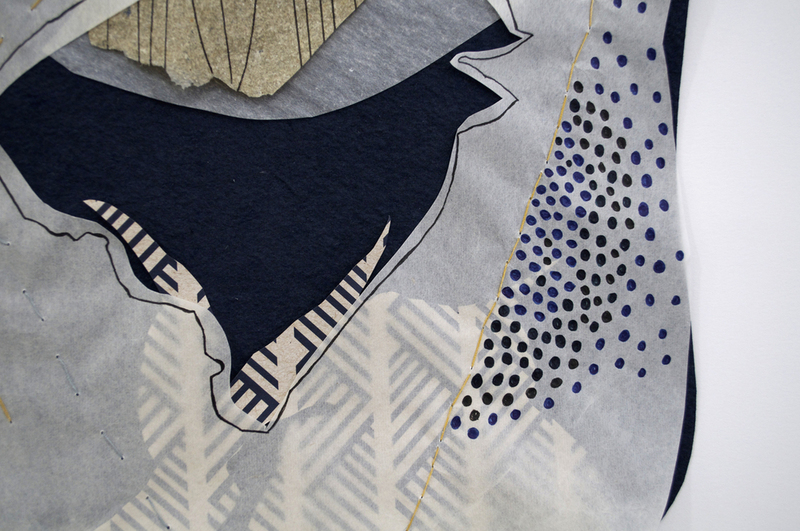 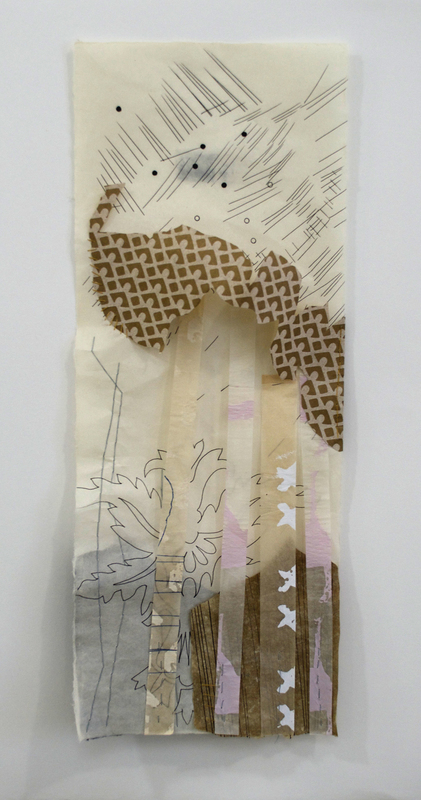 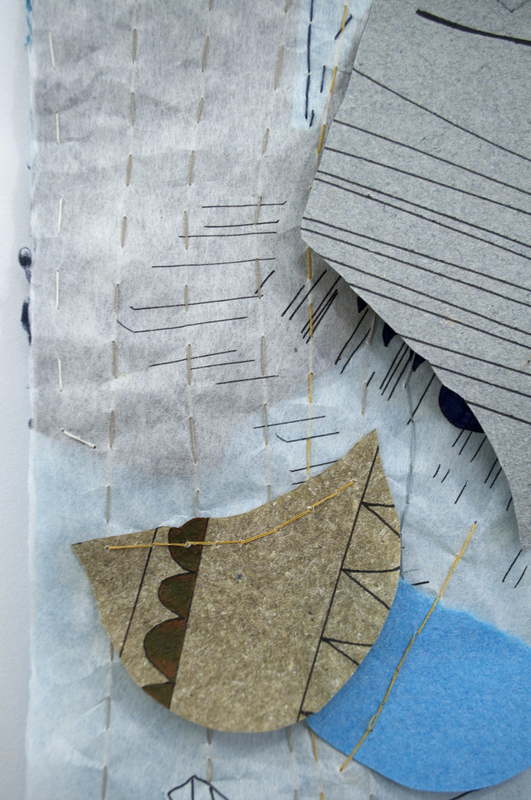 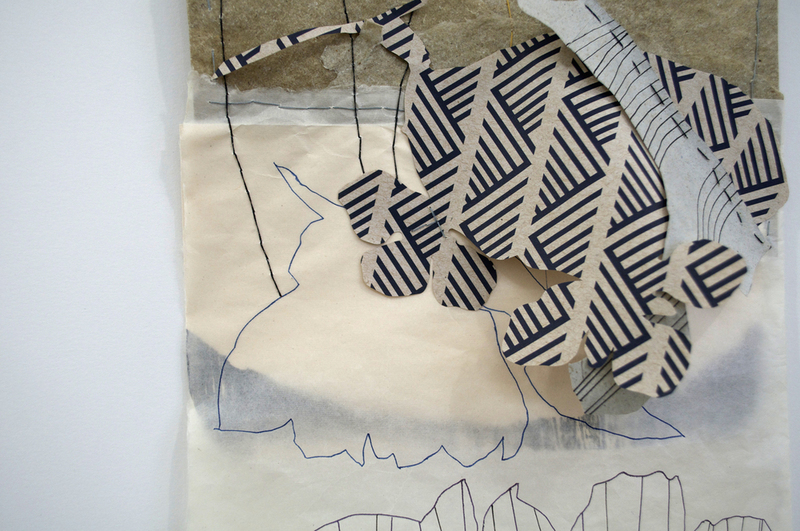 Other media include ink drawing, and linear elements of hand sewing. 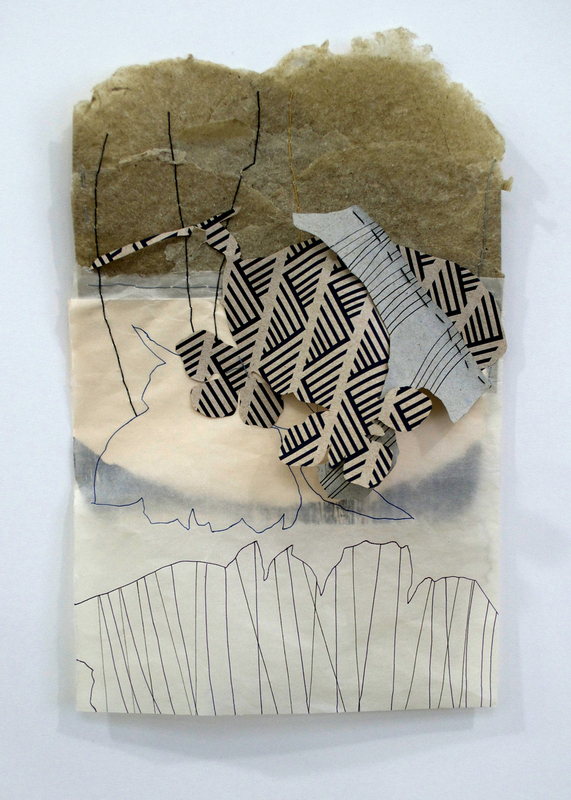 The work was made in October 2013, during a residency period at the Virginia Center for Creative Arts in the Blue Ridge Mountains, and attempts a connection to the landscape and atmosphere of that location.